The Tri-Cities MSA is especially attractive to successful, expanding companies looking to locate branch operations and develop new facilities. Area thought leaders have created an environment where innovation is focused on developing solutions to tough national energy challenges. Abundant, reliable and inexpensive energy, and a very favorable business climate, make the Tri-Cities an excellent location for all types of manufacturing. It is especially attractive to companies in the energy sector interested in the growing, energy conscious, worldwide market. The Mid-Columbia region has a long history of leadership in manufacturing. Industrial customers in Washington pay an average of 4.51 cents per kilowatt hour, the lowest electricity rates in the nation. 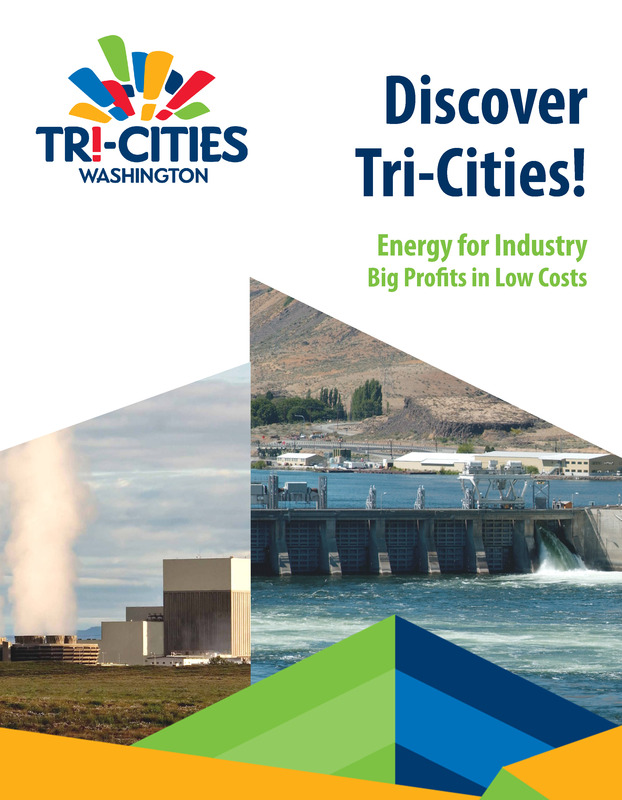 The Tri-Cities is the Energy Hub of Washington and the Pacific Northwest with over 5,000 employees in energy related fields. In addition to manufacturing, the Pacific Northwest National Laboratory (PNNL) in Richland is recognized as a leader in energy technology development. With over $1 billion Federal research budget and 4,200 employees, PNNL’s energy portfolio includes smart grid applications, energy storage and fuel cell development. See why the Tri-Cities is Greener, Faster, Bolder! The Tri-Cities is home to a variety of world-class manufacturers: Theses companies have benefited from strong academic-industrial collaborations and partnerships. These relations are key to improving energy use in manufacturing, and the discovery, development, and commercialization of new manufacturing technologies. AREVA: Supplies nuclear fuel that generates about 5% of all electricity in the U.S.
Carbitex: Carbon fiber fabric manufacturer. Energy Northwest: Commercial nuclear power generation. IsoRay Medical: Radioactive brachytherapy seeds and implant systems. Lampson International: Builds the world’s largest land-based, heavy lift, mobile cranes. Manufacturing Services: Builds customized circuit boards for industrial, medical, military and communication applications. SIGN Fracture Care International: Implantable medical devices to treat bone fractures. Washington State is consistently singled out for its workforce. Workers are talented, affordable, highly skilled, and well educated. The lowest priced electricity in the country benefits business, industry and families. 40% of Washington State’s power is produced within a 100 mile radius of the Tri-Cities. About 90% of the total wind generation capacity in Oregon and Washington is within 125 miles of the Tri-Cities. Smart Grid and Smart Appliance technology and systems research are available for commercialization. 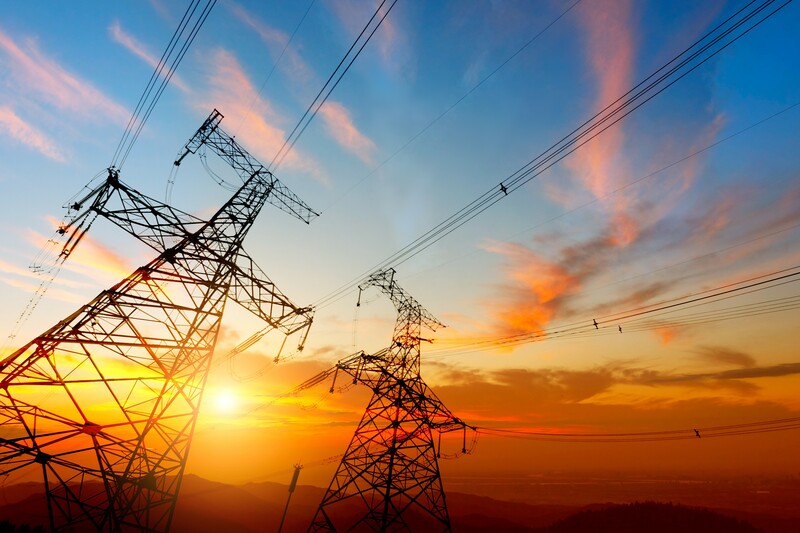 Battelle successfully completed a $180 million, five state Smart Grid demonstration project using smart-grid-enabled manufactured components and transactive control technology. Tri-Cities is home to highly skilled craftsmen and among the highest ratio of scientists/engineers per capita in the country. There are over 14 companies and 10 utilities located in the Tri-Cities focusing on renewable energy technologies. About $70 million of private industry R&D is conducted each year by the Pacific Northwest National Laboratory. The only operating nuclear power plant in Washington State is located in the Tri-Cities, producing 1,157 MW. 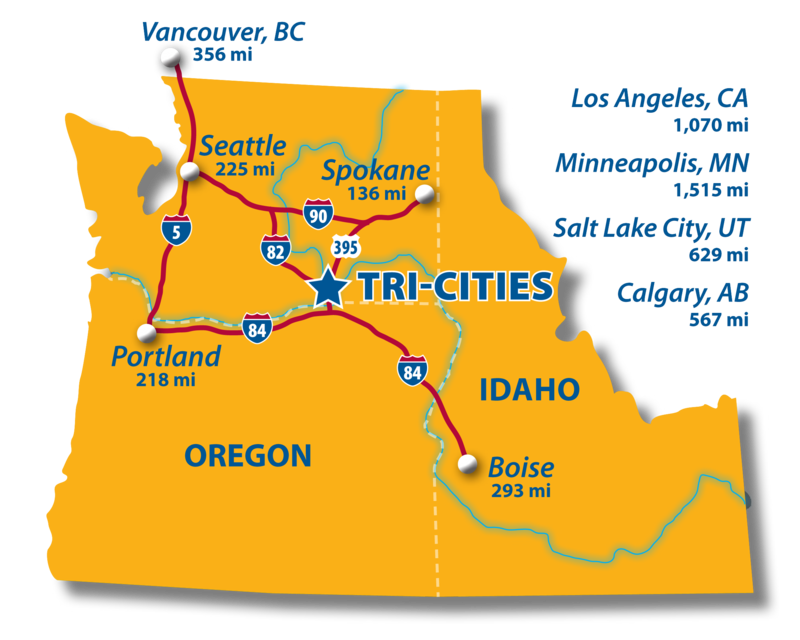 On March 6, 2014, the state of Washington awarded a grant to the Tri-City Development Council (TRIDEC) to study the Hanford Site as a possible location to construct one of the nation’s initial small modular reactor (SMR). This study explores the feasibility of redeploying existing assets at Hanford to realize potential cost savings from current Hanford operations, which can offset the high costs of licensing and constructing an initial SMR on the site.The study concluded that siting an SMR generating station at Hanford is technically feasible and many benefits come from using the existing infrastructure, local nuclear workforce, and other regional assets. Siting SMRs at Hanford will require a close partnership with the U.S. Department of Energy (DOE), state of Washington, and regional utilities and power planners.